It is an old Chinese tradition that a bridegroom should give betrothal gifts to the bride’s family before the wedding to show his respect and love for the bride. It is an old Chinese tradition that a bridegroom should give betrothal gifts to the bride’s family before the wedding to show his respect and love for the bride. The custom is often criticized for being akin to selling a daughter, as in some regions, the amount is set far too high for any ordinary family to afford. 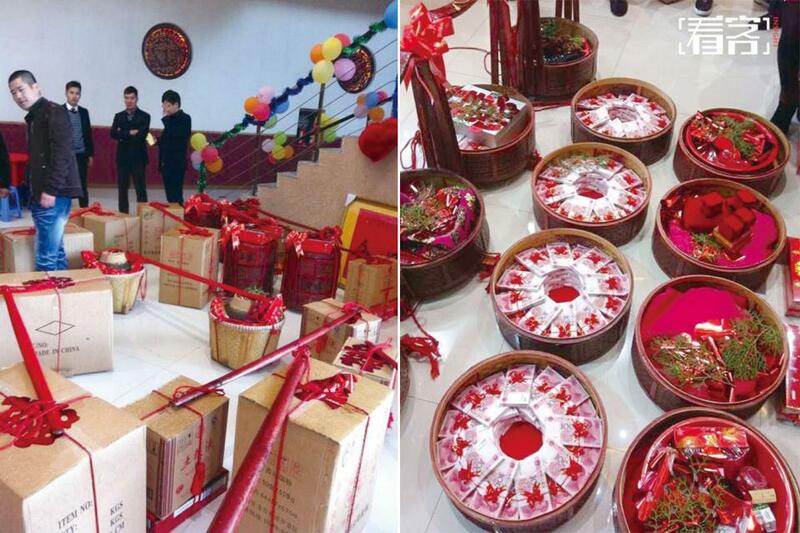 A district in Lankao County, Henan Province, recently aimed to rectify the custom by forbidding betrothal gifts valued over 20,000 yuan (US$3,077), or the violators would be charged with human trafficking. The new policy triggered heated debate online – with some saying it was good to transform outmoded customs, and others contending that the government has neither the right to interfere in people’s private lives nor the ability to redefine human trafficking.